Missouri preview: Banged-up Tide could get a test from high-flying Tigers | TideFans.com | By the Fans, For the Fans. Missouri Tigers quarterback Drew Lock (3) drops back to pass in the first half against the Purdue Boilermakers at Ross-Ade Stadium. 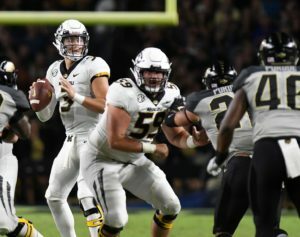 Although the Missouri Tigers come to Tuscaloosa riding a two-game losing streak, there is an uneasiness about this matchup that has its roots both in the history of the Alabama-Missouri series and also the high-wire act Alabama Crimson Tide has put on through the season’s first month and a half. Speaking plainly, Missouri has knocked off better Alabama teams before, and injuries, particularly on defense, make Alabama not vulnerable per se, but this game might not be just another Tua Tagovailoa first-half showcase. Missouri’s history as a beater of Bama giants is anchored in the 1960s and 1970s, hardly news in 2018. 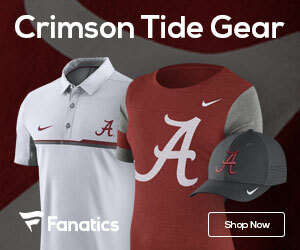 But Missouri is strong where Alabama is suddenly weak: a passing attack led by a quarterback who has shown both the ability and the gunslinger’s attitude necessary to hunt big game, defended by an Alabama secondary that just lost its third contributor for the season. Whereas the losses of safety Daniel Wright and cornerback Jalyn Armour-Davis were both unfortunate, neither Wright nor Armour-Davis were key contributors. Corner-safety Trevon Diggs, however, certainly was. Alabama will be facing Missouri’s Drew Lock with a shuffled defensive backfield, which is playing behind a front seven suddenly shown to be a bit porous. On offense, Tagovailoa couldn’t escape the Arkansas game without a minor knee tweak, but it appears to have done nothing more than scare a bunch of people out of their wits. Whether Alabama continues to call designed quarterback runs for Tagovailoa is another matter entirely. If the fans had their way, those pages would not just be removed from the playbook, but burned, cremated and the ashes spread across the seven seas. Missouri is a good offensive team with a horrendous pass defense. Provided Tagovailoa stays on two feet throughout, Alabama should be able to score as much as it wants. Whether the Bama defense can prevent Drew Lock from doing the same will be the key. Missouri may have left the Big 12, but it didn’t leave Big 12 offensive philosophy behind. The Tigers pass to set up the run – or just pass to set up more passes. The running game ranks 34th, so it can’t be completely ignored, but the real concern is the passing game, specifically Lock at quarterback. Injuries have neutered the wide receiver group to some extent. Outside of Lock, the offensive line is the strength of the team. Alabama will use its multiple attack, which still has elements of a pro-style attack but has taken on more spread elements with Tagovailoa at the helm and Mike Locksley calling the plays. The Crimson Tide leads the nation in scoring and passing efficiency, is 6th in passing offense and 4th in total offense. Missouri is 9th overall. It’s strength against strength.